The cross is an archetype found in all cultures, mostly in a magical context, where it has power as the route to enlightenment, and as a symbol of the inner solar power. The cross is unique in its all-inclusive symbolism, which covers cyclic or vortex patterns, the Sun god, the Earth goddess, the life-giver, the great tree and the earth energies. The symbol of the Aztec creator god, Quetzalcoatl, the feathered serpent, was a cross. The Aztec weather goddess also carried a cross, and at Cozumel it was an object of worship. Native Americans marked their boundaries with a magic cross. In many cultures a cross was placed upon an initiate’s chest as a symbol of rebirth. In around 100 BC, crosses were set up above the graves of the elect by the ancient Scandinavians, who also used them as boundary markers. The staffs of the Norse priests were crosses combined with the caduceus. In many doctrines the four branches of the cross stand for the four elements of antiquity: air, earth, fire and water. The permanence and alchemical significance of this is obvious to the enlightened. The four elements also have corresponding cardinal directions, seasons of the year, times of the day, suits of the Tarot cards, and Archangels who personify them. These personifications can be aspects of an individual’s inner-self, or personalities of people within a well-functioning group. Therefore the cross can be seen as a symbol which unites both the outer and inner worlds. Consequently it reminds us that we are not separated from the universe, and that we are indeed connected. When seasonal rites are performed on the solstices and equinoxes, a circle is arranged on the ground with its quarters aligned to the cardinal directions of the earth, and each participant is stationed at their corresponding quarter. The circle contains a fire at its centre which is symbolic of the inner solar power. By performing such rituals one is connecting one’s inner and outer worlds (microcosm and macrocosm), by using the correct time and position for the rituals, whilst invoking corresponding aspects of one’s inner self. Of course everything is energy, and by connecting resonating energies in the microcosm and macrocosm one can manifest one’s reality more effectively. 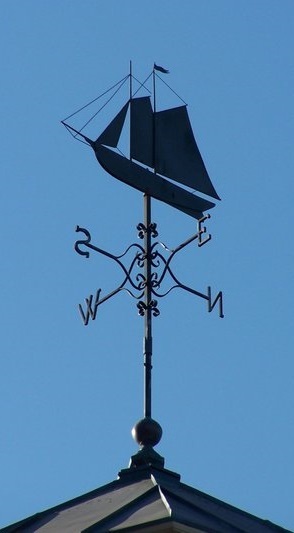 This can be likened to adjusting the sails of a boat in accordance with the wind direction to achieve maximum thrust. Young and highly intelligent male person, sharp and keen of mind and soul, quick thinking, and alert for signs of trouble threatening the group from external sources. He is incisive and pliant, on the look-out for new projects or interests in which the group might engage if they decide to, and he keeps the rest very much on their toes by his enthusiasm and eagerness to get things right for them. His enlivening spirits keep them active and prevent complacency. Senior male, commanding officer type. He upholds the conduct of the group, makes most of the rulings, keeps discipline, should set a good example, does the main job of straightening out problems affecting the group, and is perhaps the principle enlightener. He is responsible for taking the chief decisions and judgements concerning group activities. Young female. She mediates powerful and beneficial love and compassion throughout the group. If there should be trouble among them, her job is to mollify it, if sorrow, console the sufferers. She must be able to radiate cheerfulness, kindness, good humour and happiness. It is she that has to nourish (nurse) things along when they become difficult and, keep in touch with the inner nature of the entirely sacred symbol of the cup/chalice. Senior female, one of experience, wisdom, caution, tolerance, patience and all the qualities associated with good, sound, solid sense at its highest level in the human spirit. She helps to show people what they really are, and tries to protect them from over-impulsive propensities. She guards the traditions of the group, and teaches the law by which they hope to live. When all aspects represented by all four branches of the cross are brought into balance within the psyche of the individual, then the inner solar power, sometimes called the “inner sun”, can be accessed. This is the purpose of certain magickal rituals, as well as to raise one’s awareness. Gray, W. G. (1970). Seasonal Occult Rituals. Cheltenham: Helios Books. Julian Websdale is an independent researcher in the fields of esoterica, metaphysics, and mysticism. His interest in these subjects began in 1988, at the age of seven. Julian was born in England and received his education as an engineer from the University of Bolton. Julian served in a Vaishnava monastery, and has traveled to over 14 countries since 2012. His work creates enthusiastic responses from inquiring minds across the world. Follow Julian on Facebook and Twitter, or visit his blog.